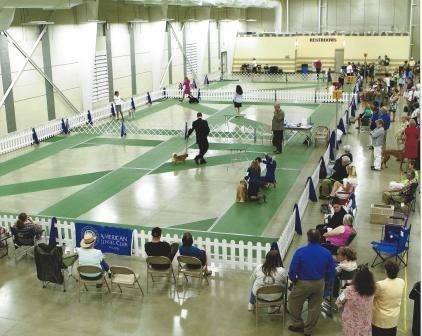 AKC Dog shows featuring All Breed shows, Obedience Trials and Rally Trials. Coursing Ability tests each day (mixed breeds welcome, sign up the same day.) Dock Diving each day (practice available for a fee, mixed breeds welcome, sign up same day.) All breed puppy match on Friday night (come practice!) Held throughout the entire facility.